It's always moving to see a groom struggle with his emotions during a wedding — I remember going through the same thing, barely holding it together in my own wedding! Not only is his expression poignant, so is the maid of honor who is watching him, as the others bridesmaids smile big at the bride and her father approaching up the aisle. 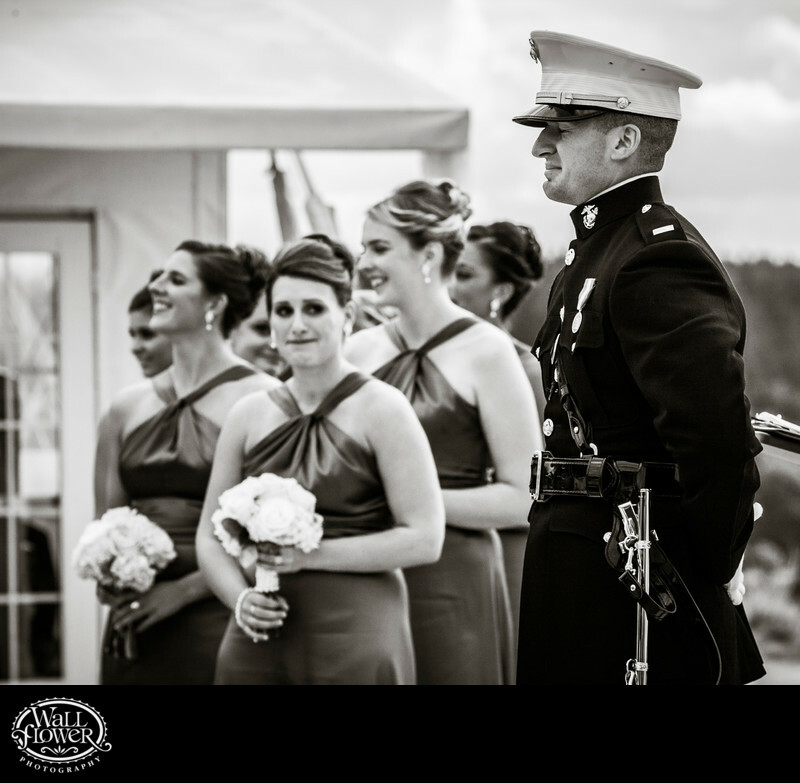 Their wedding ceremony took place on the patio at the Chambers Bay Golf Course, which is perched on the edge of a big dropoff overlooking the famous golf course, the waters of Puget Sound and the majestic Olympic Mountains in the distance. You'll find several more photos from this wedding, one of our favorites of 2014, all over this website.